NBC is going to Texas. 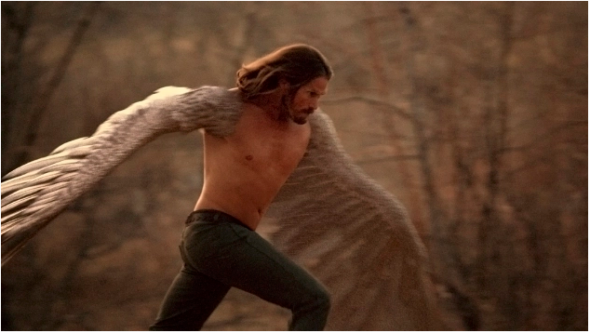 TVLine reports the network has picked up new series Midnight, Texas for the 2016-17 season. The supernatural drama is based on the book series by True Blood author Charlaine Harris. Midnight, Texas follows the offbeat inhabitants of a small and isolated Texas town. There, witches, hit men, vampires, and all kinds “band together and form a strong and unlikely family.” François Arnaud, Dylan Bruce, Parisa Fitz-Henley, Arielle Kebbel, Sarah Ramos, Peter Mensah, Yul Vazquez, and Sean Bridgers star. What do you think? Have you read the books by Charlaine Harris? Will you watch Midnight, Texas? My husband and I watched Midnight Texas every Monday night. We never missed an episode. We want it back on. I’m reading the first book, along with the first season of Midnight Texas. Very Good! I read all the books that Charlene Harris Wrote that went with True Blood.Very Good!